Well, dear readers, it's that time of the year again: the Somerville-Salem 30K. Every Halloween, 13 metaphysically gifted women (we do not use the "w" word anymore) from the Greater Boston area are invited to participate in this historic paceline-style flight from Prospect Hill Tower in Somerville, MA to the Olde Burying Point Cemetery in Salem to conduct the annual New England Air Transportation Alternatives (NEATA) meeting. Invitations are sent just days before the event, and no one knows how the selection process works. Imagine what an honor it was to be invited! 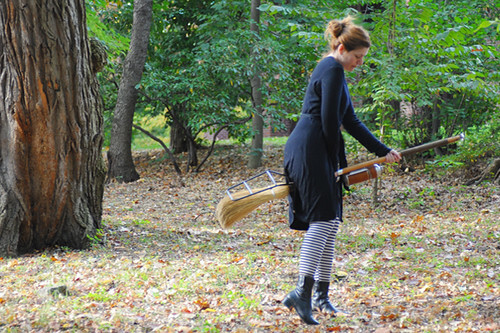 With mere days to prepare, I rushed about seeking a suitable flying broom. My own broom, I am ashamed to admit, was woefully inadequate: cheap flimsy plastic thing with nylon bristles, and no accessories to speak of. While sufficient for a quick flight around the block once in a blue moon, it was not the right broom for the Somerville-Salem 30K. I asked around, but no one had anything suitable to lend. Custom broom-makers had year-long wait lists. Finally, I heard from a friend deep in the woods of Virginia (you might know him from the comments here as Spindizzy): He had something for me and would mail it straight away. When I received and opened the package, I could hardly believe my eyes: an original 1946 Griffon & Howle randonneuring broom. Spindizzy had just finished restoring it for a customer, to whose mother - a Ms. Yeumadeen Platchen - the broom had originally belonged. When the customer heard that I had been invited to the Somerville-Salem 30K she offered to loan it out for the flight. What luck! You see, Griffon & Howle were the constructeurs of flying brooms, back in the days when fine craftsmanship and attention to detail truly mattered. They used only the finest wooden tubing, the lightest metal fittings, the softest, most aerodynamic bristles. But more importantly, they fabricated all components and accessories in a manner that truly integrated with the broom itself. To hold a Griffon & Howle is to hold a masterpiece. To fly a Griffon & Howle is a privilege that few experience. The Griffon & Howle's bristles are organic handbound straw, sourced from the Balkans. Importantly, the rear rack is welded onto the base of the broom, rather than attached via p-clamps or braze-ons. Not only does this provide considerable weight savings, but it is more durable, stable, aerodynamic and elegant. This rack will not shake loose mid-flight. And it looks like it belongs on the broom; it is not an afterthought. 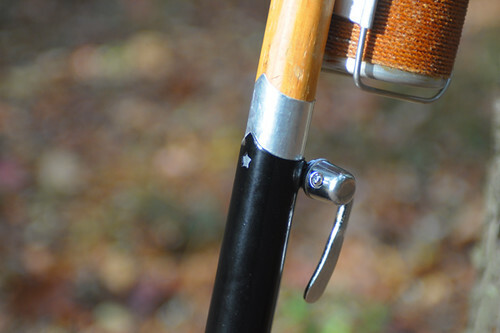 The main part of the handle is constructed out of standard diameter, thin wall wooden tubing, which has been scientifically proven to provide just the right amount of flex for a responsive in-flight feel. 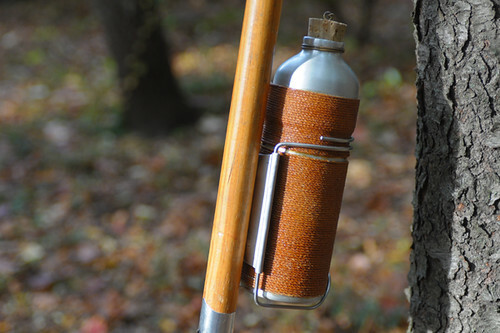 The hand-crafted aluminum potion bottle-holder was painstakingly designed to minimise vibrations. 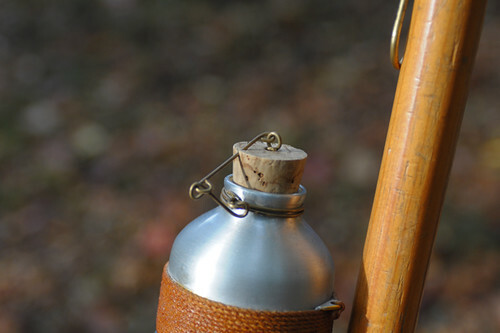 Naturally, the potion bottle itself had to be custom made out of military-grade resistanium, as the potion tends to burn through metal and plastic commercially-available bidons. 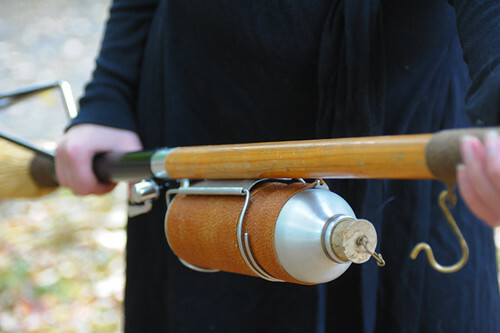 The cork stopper and shellacked twine complete the look. Unlike today's flashy custom builders, the constructeurs abstained from affixing heavy metal badges onto their brooms. 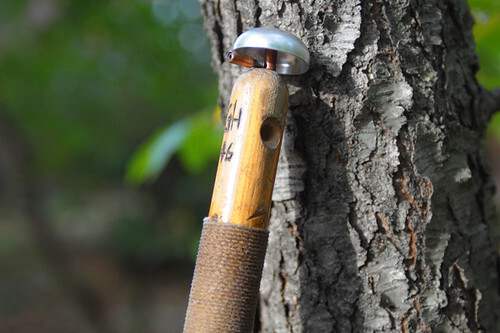 Instead, they simply carved their initials and the broom's serial number into the tip of the handle directly underneath the bell. And while the brass bell may look ordinary enough to the untrained eye, each one was handmade to emit a ring of a signature frequency. The art of this technique has unfortunately been all but lost. The grip area of the handle is wrapped in twine, woven out of the rarest, most durable silken fibres available. While it is popular today to wrap broom handles in cork tape, this really developed as a result of the rarity of the silken fibres, as well as poor fit. Ideally, the gripping area should be firm to the touch, yet not so firm as to cause callouses. Notice the pinky hook at the bottom of the gripping area, designed to keep the hands in place. The quick release feature makes the broom suitable for travel and transportation in ordinary-sized packages and suitcases - an invaluable feature in today's high security travel climate. 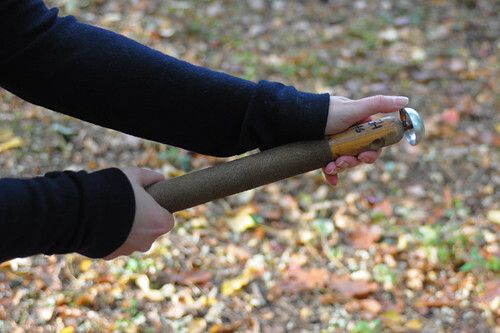 Note that, unfortunately, the skewer is a modern replica replacement. The original fitting was damaged when an attempt to steal this broom was made at a rest stop during the 1954 Liege-Sofia-Liege brevet. With a twist of the quick-release lever, the broom quickly disassembles. Mounted to the inside of the upper section is a Dragon's kydneystone, the purpose of which I am not at liberty to describe here - though some readers will know. The star-shaped cutout on the lower section is a Griffon & Howle identifier. Holding the broom in my hands, the first thing I noticed was how well-balanced it was. Despite the welded rear rack of considerable size, it was not bottom-heavy but balanced in the center. The technique of the old masters was impeccable. 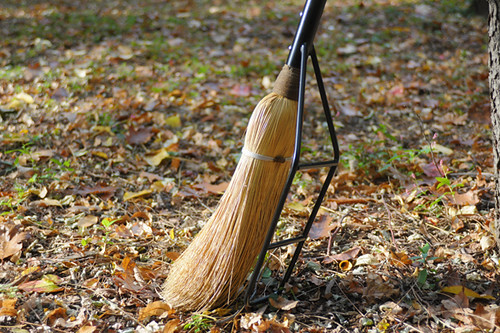 The broom was also remarkably light - more so than the modern plastic and nylon creations so many misguidedly use today. Having examined the broom extensively and marveled at its craftsmanship, it was time to commence my training for the 30k. With only three days left before the event, my plan was to complete a brief 5k flight around Somerville that evening, followed by a more challenging 10k around Boston the following day. After that I would rest before the Somerville-Salem 30K. As I prepared for my training flight, the first step was, naturally, to find a dark corner of the forest, assume the Chant Position, partake of the potion with which my bottle was filled, and utter the relevant Spell. I was amazed at how intuitive this part of the process was with the Griffon & Howle. The broom triangulated with the forest floor perfectly, allowing the Spirits to enter it just so. While my plastic broom required over an hour of chanting to be adequately prepped, the Griffon & Howle took a mere 2 minutes. Next, I gently stepped over the broom whilst holding the gripping area and utilising the pinkie hook, and aimed my gaze at the skies, toward the Secret Constellation. Not having done Kundalini Yoga for Broom Flight in some time, my postures were rusty and I was worried that my skills had deteriorated. However, less than a minute into holding the posture I felt the broom begin to levitate. It was working already. 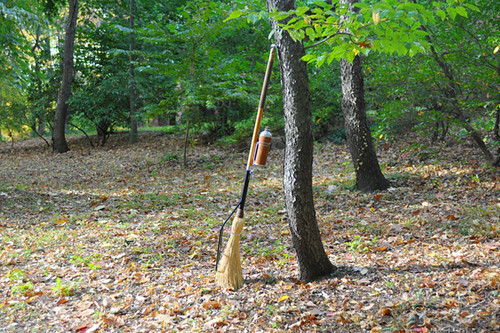 A well-balanced broom straightens itself out as it levitates, so that eventually it floats parallel to the forest floor. It is then up to the operator to control the angle. There is debate as to which angle is ideal to start with at take-off and maintain during flight, but in the era of Griffon & Howle brooms it was generally believed that a low-trail configuration provided the best handling. As I prepared to take off, one thing I noticed was that the broom had an unusually short handlebase by current standards. Most likely it was made for a more petite flyer than myself. The operator is meant to occupy the space between the rear rack and the potion bottle (in broom flying jargon, this space is referred to as the perch), and on the Griffon & Howle it was barely long enough to contain me. Were I commissioning a similar broom for myself, I would ask for an extra 2cm or so of perch length. As an aside on proper positioning: In the media today, we are inundated with fake and ridiculous imagery depicting women perching on brooms in ways that are not only inefficient, but downright unsafe for flight. The position shown here is the only correct one for paceline flying (the transportational position is considerably more upright, but requires a broom that balances differently). 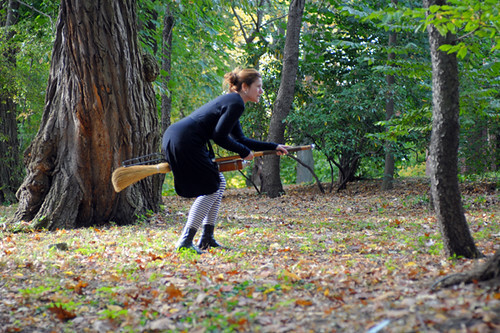 It is also important to understand that any images you might see that appear to depict metaphysically gifted women engaged in actual broom flight are fake: We are not legally permitted to capture this activity on film or digitally. To ensure that this rule is adhered to, a masking agent is incorporated into the Flying Spell that prevents photo and video equipment from recording the operator in flight. As the broom and operator take off, they remain visible to the human eye of bystanders, but cannot be captured by recording equipment of any kind. And so this is the last image I am able to leave you with prior to take-off. I can hardly describe my impressions of the 5k maiden voyage without getting emotional. Put simply, I had not known until now what I had been missing all these years of awkward, uninspired flights on cheap and ill-fitting brooms. The Griffon & Howle soared joyously though the skies. Responsive to my movements, it steered intuitively and soaked up air turbulence effortlessly. My heart skipped a beat, as I felt that this broom truly planed. For the 10k training flight the next day (yes, I ventured out during Hurricane Sandy! ), I added a pannier and wore a raincoat. The pannier was just the right width for the rear rack and there was no heel strike during take-off. The wonderful feel of the flight remained as I remembered it. The fit and the handling were so perfect that, put simply, the broom "disappeared" beneath me. And this, as Griffon & Howle were famous for opining, is the very definition of a well-made flying broom. After a day of rest, I feel well prepared for the Somerville-Salem 30k this evening and am very much looking forward to the New England Air Transportation Alternatives (NEATA) meeting. I really can't thank Spindizzy and his customer enough for loaning me the Griffon & Howle and for allowing me to document it here for my readers. While I recognise that this is a bicycle blog and not a broom blog, I can't help but feel there might be some common ground here. 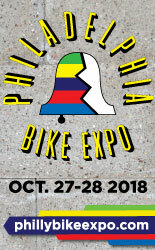 For anyone interested, Spindizzy (aka Jon Gehman) does offer complete broom restoration services, as well as custom bicycle racks and other cool and weird accesssories. The full set of pictures of the original 1946 Griffon & Howle randonneuring broom can be viewed here. Happy Halloween everyone! I Love it!! This is your best 'ride' yet! Have fun! Totally awesome! I'd move that water bottle up some. From one who knows. You are awesome!!!!!!!! This has to be my favorite post! Your best post ever. I feel like it's April in October. Thanks for the smile. Oh well done! I must send you a photo of my boneshaker broom, a collector's item only......to ride such an antique is painful....possible, but painful! Nothing like your fine ride, you are so fortunate! Enjoy the ride tonight....see you in the sky! Aside from that, looks like a solid build. Can Spindizzy do 650B (B=broom) conversions? And speaking of regulatory agencies, I'm pretty sure dragon kidney stones have been protected from international trade by their listing on Appendix I of the Convention on International Trade in Endangered Species of Wild Fauna and Flora (CITES) since 1976. In fact, traffic in the stones was one of the reasons the idea for CITES was drafted in the mid- sixties (perhaps not coincidentally right around the time when Peter, Paul & Mary's Puff the Magic Dragon became a hit, especially among pot-smoking "w-words" and warlocks, bringing greater awareness of these creatures to the general public. Just sayin'. It's exempt, 1946 and all that. We did have to remove the Brimstone lamp(you can see the mounting holes behind the bell)because of E.U. Health and Safety Regulation. You can't even mount them for demonstration rides without a waiver. Brilliant!! But where are the photos of you in flight? Will we see them tomorrow? It seems the head is a bit narrow. Recent articles in Broomers Quarterly suggest that a wider head allows one to maintain the same speed with less effort through turbulent air. I do wonder if the head on your broom is original equipment or the closest approximation using current products. Regardless, it is quite the randonneuring broom. A tell is the lightness of the rear rack. I wouldn't put a full broom touring load on that, bit for rambles in the country and multi hour events it is the perfect blend of form and function. Pity the original skewer was stolen. Have you called the Old Bristle Home up in Vermont? They have quite the collection of old broom parts. Might have something close to the original. This reminds me that I need to renew my Broomers Quarterly subscription! I am assured it is original equipment except for the skewer. The broom's owner preferred a sturdy modern replica to souring a NOS skewer. This is the one part of the broom that is best purchased new, as I understand it. My Mom use to ride one just like that! I can't stand this fetishizing of 'old'. What you want is a good modern carbon fiber broom. Looks like I just got tricked into a treat! that might be the most enjoyable thing I have read in a long time. I really thank you. I found this post quite bewitchi...er, be-metaphysicalling? Your best post ever. A tough hurdle to clear, but here we are! Thank you. I look to this blog for the finest in reporting when it comes to aesthetics and craftsmanship and I adore metaphysically gifted women as much as a good shot of Eye of Newt. And those striped unmentionables--ooh! However, the lack of tall pointy hat worn by the tester of the Griffon & Howle might bring some of the performance findings in this otherwise admirable article into disrepute. Can this be rectified? It is a common misconception that the so-called pointy hat is worn by metaphysically gifted women. In fact, this accessory is a wizzard hat, worn by a wholly different demographic. 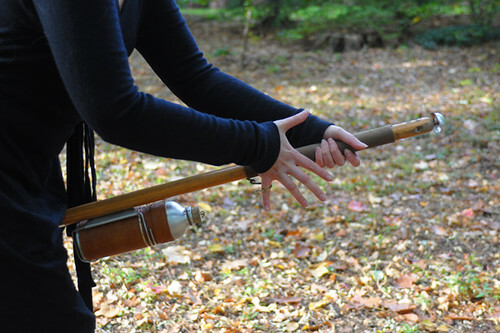 Traditionally, broom flight has always been performed bareheaded. could this be the start of the Hat, No-Hat argument ? Oh, well done. Well done! As always your essay on the lovely old G&H was fresh, insightful, enthusiastic, and — as we used to say back in the day when the varnish on that rando-broom was fresh and the straw still stiff and springy — a D*mned Good Read. On this occasion, however, your youth has betrayed you (and I am old enough to remember the splash that G&H made with their use of modern materials in their post-war production, scandalizing the senior members of more than one coven when the younger girls abandoned the traditional twig-bound besoms that had been the norm since time immemorial). Remember that the post-war Griffon & Howles were designed to be flown side-saddle — admittedly a trickier position in terms of control, but with a reward of elegance, grace, and power that can only be dreamt of by the generations who have grown and flown since the 60's knowing only how to fly astride. Let's be historically honest here. The side-saddle position was adapted as part of a post-War trend to appeal to male spectators, so many of whom were dispirited after returning from battle. It was a different time; there was an expectation that women were there to please, to entertain and metaphysically gifted women were no different. For the flyer, there is no advantage whatsoever to the side-saddle position. It was done for show only, when flying low enough for spectators to see, and could not be sustained for more than several minutes. OH MY STARS AND GARTERS!!! The sidesaddle question AGAIN!!! HERE of all places! A broom capable of the speeds this example can reach would find the rider flung backwards and clinging on for dear life. Of course some riders would pose along at low speeds with both legs draped to starboard and alight daintily before the tail(or "Brush" as it's still called by those "in the know") came to earth, but COME ON! Another example of the sort of ignorance that will remain impossible to stamp out till we repeal this ridiculous ban on in-flight photography! You guys are missing the point here -- with long frocks and narrow hem side saddle is the proper position, even with the variable-tilt top tube. 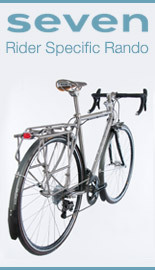 Ideally a low down brown mixte for ease of multiple stops, though I can't help you on a second water bottle placement. Yeah right, just the thing for Jet-Baiting or Cricket pitch raids. Get a life Muggle. Look, I like wearing skirts as much as the next MGF (metaphysically gifted female). But to compromise flying efficiency for some misplaced notions of modesty? No thanks. A mixte broom is a solution looking for a problem. No one has ever died from hiking up their skirt. The ladies on Let's Go Fly A Broom (LGFAB) have an excellent tutorial on how to do this with even the narrowest of maxi hems. And just look at all the women on the Österreichischer Besenflug Schik website (careful though, as it's not always SFW). 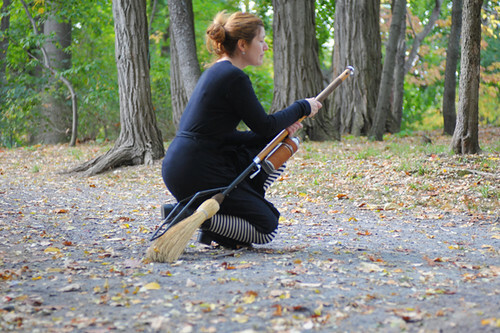 Oh lady, wait until after you've terrorized all the innocent children on your rando-broomet. Wait until the hysterical townspeople try to confiscate this avian Herse...I shall quote you on this. We shall see once you're back trying to mingle with the normalfolk. I see you. As the owner of Österreichischer Besenflug Schik (the original website dedicated to documenting ordinary citizen broom flyers) I hereby file a protest against the snarky remarks you and your unfashionable friends continuously fling in our direction. The website is entirely safe for work. The women pictured are ordinary European women. It cannot be helped that they are schik and comfortable with their bodies. Good day. My personal favourite broom maker is North Woven! Hand made in here in Canada and absolutely beautiful! Thanks for pointing out this reasonable and beautiful alternative to going custom! I can also recomend the basic, but well made and traditional, conveyances sold south of the longest un-defended frontier in the world by The Lions Club. Easy to fly, easy to modify and no great loss in the event of catastrophe. Sounds like just retrogrouch sentiment to me. You know you'd be so much faster if you'd just get a nice new modern broom. Carbon handles are so much lighter, plus they are vertically stiff while remaining laterally compliant, and their metaphysical properties are precision engineered by computer. And genetically engineered fiber optic bristles transmit occult propulsionary force so much better than vintage organic straw. But if you really want the best spell bottle, you need to spring for the Chris King helium-infused one. It's machined from a solid block of tempered mithril, and it actually has negative mass, so it accelerates incredibly well. Admittedly you have more flying experience than I do, so I am willing to consider your point of view. Is there perhaps a Dill Pickle broom in future? Oh, I was only joking... I never ride my modern fancy broom. My rando broom has a vintage handle and a single bristle, but it's much more comfortable for long flights. I'd just like to say this is probably the best thing ever posted on this blog. Happy Halloween! Yes, yes it is. Thanks for noticing. Darling conceit and its arc beautifully done!! Oh my god. I suddenly want to go read Harry Potter again. This is the best blog post ever!!! You totally win today's episode of the internet. Fabulous! Just the laugh I needed today! It's nice to see the smaller boutique brands of brooms covered here. I'm sick of the mainstream publications that only cover the big brands that use Quidditch jocks in all their commercials. Sorry, there you go mixing low trail with rear racks again. Hello? There is a LUG right there, unmentioned as if it were unimportant. 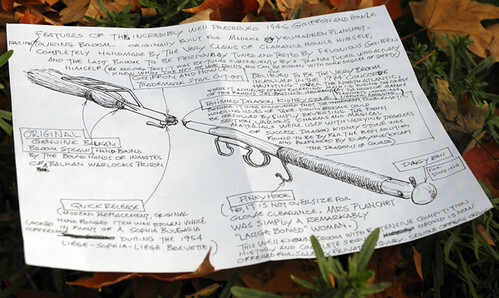 The picture of the schematic isn't large enough -- can't read SpinDaze's mad genius notes. "the rear rack is welded onto the broom, rather than attached via p-clamps or braze-ons"
It's just like my Tout Terrain Silkroad. Great design! Isn't it refreshing to see a plain unadorned bronze pinkie loop again? If I have to see another gold plated filigreed dragons-head monstrosity masquerading as "craft" I'm going to spew. "My other ride is a Griffon & Howle". That is awesome. Where can I get a sticker like that for my bike? At the New England Air Transportation Alternatives (NEATA) gift shop. I hope your pannier is a Carradice as they're made in Pendle! Er... Nelson, I think you mean. Nelson is in the Borough of Pendle. I should have put Nelson, Pendle to be strictly accurate but was getting frustrated with my tablet and just wanted to make the links with the Witches, who lived around Pendle Hill. Wiggo rides over it now and again. Awesome. Serendipity or synchronicity - either way a great choice! Great post, Velouria - can't stop giggling at your very detailed review of this very different ride! Hope you had a fab Halloween! Due to injuries, I must ride an electric bicycle. Therefore, my broom of choice is a Dyson. I recall a Mighty Mouse cartoon featured a fearsome MGF (cat), that flew on a vacuum. The e-assist thing is a can of worms. My 2 cents - whatever helps you be air-mobile, go for it. Just be aware that it's illegal over NYC airspace. If I offer to share the electricity my regenerative system produces perhaps they will make an exception, given circumstances resulting from the storm. 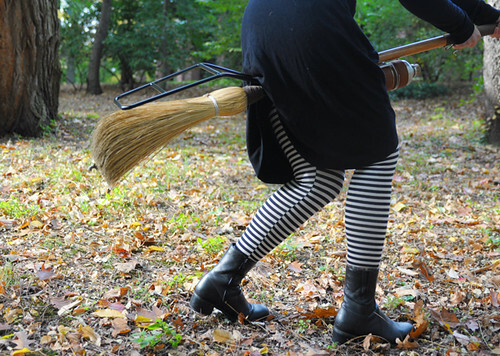 Those striped tights make the perfect accessory for your broom-riding attire. 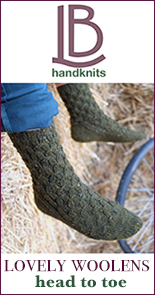 As I recall, the Wicked Witch of the East (who magically morphed from randonneur to broom jockey in the middle of that cyclone) was wearing identical hosiery when Dorothy's house dropped on her. Be safe out there. I know that you can let loose with this kind of stuff whenever you choose, but it is just splendid when you do. OMG, I'm definitely going to buy it! Are there any plans for maybe a giveaway? I have pen, paper, camera and crayons all ready on hand for whatever challenge you dish out. Sorry, this is a vintage heirloom that must be returned to the owner now that I've done the flight. But if you are patient and look on w-bay, it is possible to score similar brooms. I suggest looking for manufacturing dates that are post-war but pre-1970s, those seem to be the best value. Earlier than that and the prices are insane, later than that and you start to see compromises in craftsmanship. Good luck! Pathetic as this may seem, I am actually interested in getting one of those North Woven brooms with the dead wood handle. It's too bad the aesthetics of these classics must be compromised for the aficionados flying in most of the E.U. 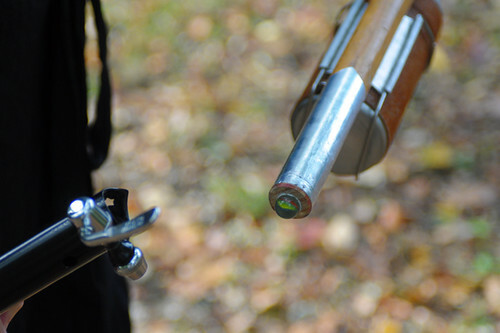 by the necessity of installing a modern Mode-S Transponder. 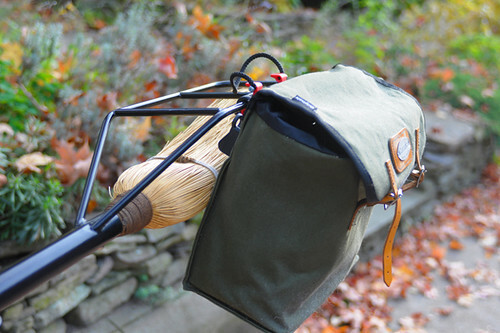 Having a rack with the pannier hanging from just the top is decidedly uncool and it might hit the straw (currently misspelled), which I understand is part of the drive system. This seems to the novice like hanging a pannier ready to get caught in the spokes on one of your bicycles. The rack begs for a high end trunk bag, made locally from local materials by an underpaid artisan and costing a lot more than the broom itself did some years ago. I'll be interested to see what you can source. I'm also interested if the broom actually made the 30K without bursting into flames when the pannier hit the straw in flight. The anti-gravitational forces that go into effect during broom flight keep panniers well clear of the drivetrain. Trunk bags are a good idea for broom-camping and such, but not for a spirited ride; they place the weight too high. Hipster MGW - a fixie, no brakes! Thank you everyone for the encouragement and the helpful comments! I am pleased to report that I have completed the Somerville-Salem 30k. Despite my minimal training, the flight went smoothly thanks to the superior performance of the Griffon & Howle. They say "It's not about the broom," but we all know the truth: Equipment matters, and when it comes to flights of importance only the finest will do. In any case, it was a beautiful starlit night and pacelining with the other 12 ladies proved to be an intense bonding experience. As far as equipment choice, it was pretty much 50/50 modern carbon fiber stuff vs vintage rando-brooms. Pretty typical of the New England scene I'd say. 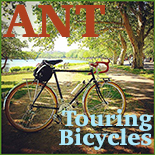 As for the New England Air Transportation Alternatives (NEATA) meeting... Well, you know how these things go. The private planes and helicopters won't share the air, marginalising us and the hot air balloon operators as if we do not matter. Newsflash: We have as much right to the airspace as you do, and there is no such thing as "air tax." Jeez. I get too emotional; this is why I am not an activist. Still, I did my part and contributed positively to the meeting. Lots of important decisions were made and we hope to see some concrete improvements in 2013 - It's a lucky date after all! I just shared this amazing post with my BF, who commented, "That broom is nicer than my bike :( "
Yeah, I think I have broom envy! That wouldn't of happened in the Netherlands! One question... two really: 1) Is that a low-trail design or high-trail? ; and 2) Do you do windows? I converted Broom Hilde into a fixed flyer/free flyer by rotating the bristles 180 degrees. Have you tried this mod? You have a marvelous sense of humor. I have enjoyed your writing for a long time. This post was simply magical! Great job! Broompacking and fatbrooming can't be far behind. This is brilliant! Kiki really could have used one of these for her delivery service, although for her purpose a custom porteur rack on the front may be more appropriate. As Kiki has shown us, all you really need is a big bag for your cat to cling to. Self effacing rando humour?!? Does Jan Heine know about this? LOVE it! Thanks for this amazing post! I know that my mom's old broom is hanging out in her barn. I ought to take it down and clean it off next time I'm visiting. It's been there since I was little. She had a child seat that attached to the rack and would fly me around and night until I fell asleep. She gave it up after my sister was born. I guess she found it easier to use the Floo Network with a bunch of kids in tow. Oh well. But I bet she would let me bring it home and fix it up! Thanks for sharing that! Makes me wonder how many old, neglected brooms there are out there, sitting in people's barns and basements just waiting for a second chance to be flown. The funniest thing that I've ever seen on a blog post (of literally thousands of entries that I've read). Thank you. Although it pains me to disagree with Velouria, a most delightful person, I do recall that that most metaphysically gifted of women, the Wicked Witch of the West (O, be still my heart! ), did indeed engage in aerial manoeuvres of the most impressive and delicious variety while accoutred as I have indicated. However, I do not wish to start a hat/no hat controversy as everyone should enjoy their Griffon & Howyle in their own way.